Student Night is being held at the Trafford Center in Manchester on 3rd October 6pm to 10pm and is a must attend for any students who love a good bargain! With live music, free make overs and give away's from top brands, intu Trafford Centre's student night is an event not to be missed. 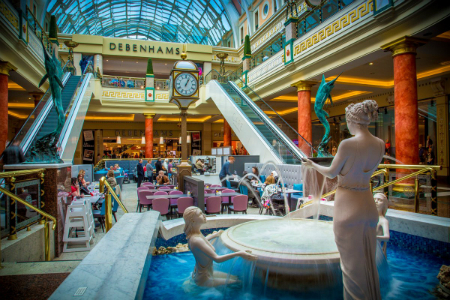 According to sources there will also be 1,000 free meal vouchers and over £5,000 worth of drinks vouchers to be used at Trafford Centre establishments which will be hidden throughout the centre on the night. Tips to find the vouchers will be dotted around the centre throughout the night and by using the hashtag #intustudents on twitter @intuTrafford you can keep up to date with the latest clues!